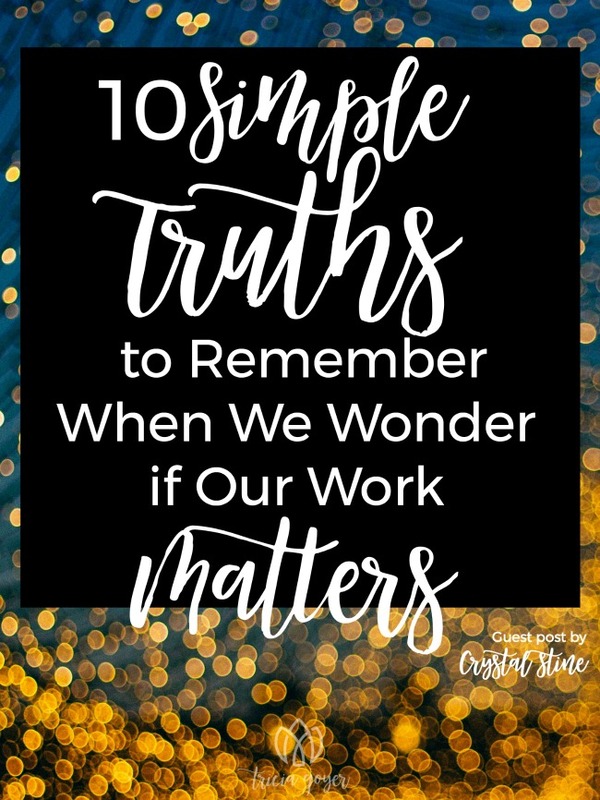 Today my friend Crystal Stine shares ten simple truths for us to remember when we start to wonder if our work really matters. I hope you are refreshed by her words today! Be sure to enter to win a copy of Holy Hustle below! Note: post contains affiliates. 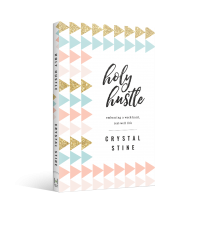 Crystal Stine, author of Holy Hustle, shares 10 simple truths to remember when we wonder if our work matters. Each spring at our home we start a list of home-improvement projects to tackle when summer break finally arrives. A few years ago, my husband and I decided to fence in our backyard, creating a safe space for our daughter to play with clear boundaries and privacy. Inside our garage for several months was a large section of fence along the wall, looming over my car when I climbed out. It was a trial run of that much larger project we would tackle when the ground thawed. I’d looked at countless images of fences in different sizes, shapes, designs, and patterns. Words like shadowbox and lattice had been incorporated into my vocabulary as we debated the pros and cons of a six-foot fence versus an eight-foot fence. That piece of fence? It wasn’t beautiful in our garage. It was in the way, smelled like a lumberyard, left a layer of dust on everything, and took up entirely too much space. I was worried I might pop a tire on a forgotten screw. I feel like that piece sometimes. A little lost. Sometimes set aside. Unable to connect my work with the larger finished product God can see clearly. In a noisy world where fancier, shinier, and bigger get the glory, I sit in my small town and live my every day wondering if I’m noticed. Or worse, if I’m just in the way. God has been teaching me to look at my place and position as a gift from Him. He sees the big picture, the whole project, where every screw and board and refining cut will come together in my life to work together for His kingdom. And sometimes the smallest pieces add the most strength. If we planned to build that fence using only the largest pieces of lumber and the heaviest posts, it would collapse immediately. Every piece—from the messiest cement to the smallest screw—must work together to create a structure secure and beautiful. In a holy hustle community, every gift is needed. Our collaboration with one another gives us the opportunity to turn our small obedience into something beautiful that shows the world what it means to work together, to serve side by side with encouragement instead of envy. But on those days when it feels incredibly easy to be overlooked? When our view of the world from our computers, our offices, our kid’s soccer practices, or our board meetings makes us wonder if we’re being used in God’s plan at all? God has this to say: “I will not forget you. Behold, I have engraved you on the palm of my hands; your walls are continually before me” (Isaiah 49:16 ESV). No matter what, God does not forget you. God carries your name on His hands. Following the loud, clanging demands and expectations of the world will only make us feel insecure as we compare our place in God’s plan to those around us. Let’s instead choose to trust God as the Master Craftsman who knows when, how, and why, and which pieces to use to make something beautiful and secure that will last a lifetime. Become captivated by God’s purpose in your life and lean into the work hard, rest well, and live the life of holy hustle God has called you to, right where you are. 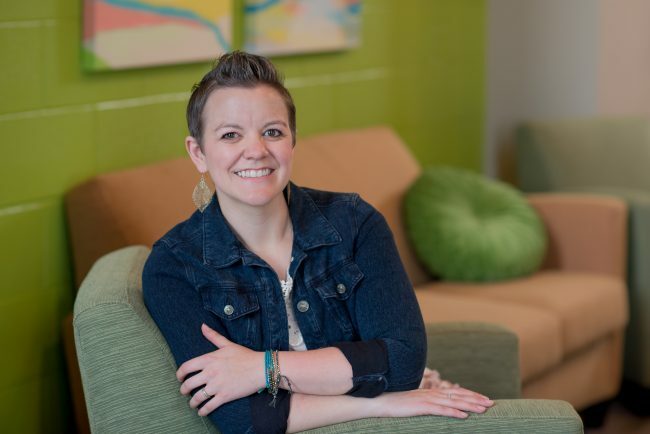 Crystal Stine has a heart for encouraging women to live authentic lives, online and in real life and offers a unique perspective as a small-town writer who has learned from her internet community how to build real-life community. Her heart is to encourage, equip and inspire women of all ages to embrace a work hard, rest well lifestyle that honors God with their every day, small moment obedience. Her first book, “Holy Hustle: Embracing a Work Hard, Rest Well Lifestyle” releases June 5, 2018.